Does Hillary Clinton agree with her surrogate that all white men should be killed? “I think, uh, straight white guys have been screwing things up for long enough. High time for straight white males to, uh, step back and let some other people do it,” he says. “That’s my dad!” Lena responds glowingly. 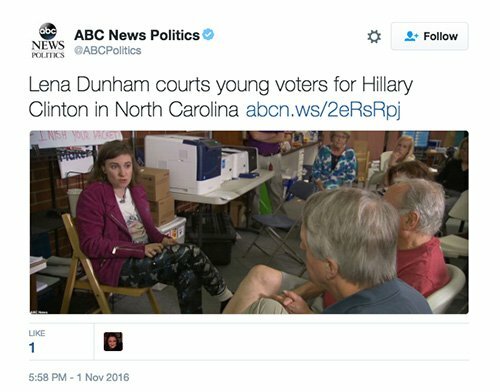 Lena Dunham was out campaigning for Hillary Clinton last week in North Carolina. Does Hillary Clinton agree with her surrogate that all white men should be killed so other people can take their place? Will Hillary Clinton denounce her surrogate’s genocidal, anti-white propaganda?